Joe Pullen is a principal engineer and architect with over 20 years proven experience of implementing solutions to complex customer problems. He is an expert at designing and developing distributed transactional object-oriented and component based frameworks and applications. This experience is based on industry standards such as JavaEE, SOA, BPM, Web Services and reliable messaging. He has expert know-how related to the development of scalable, performant highly available systems based on his extensive knowledge of JavaEE and middleware solutions such as Oracle WebLogic, Oracle SOA Suite and Oracle RAC databases. 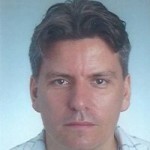 He is a member of the Java expert group for JSR 352: Batch Applications for the Java Platform. 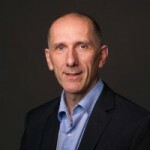 Marcus Rimmer is a proven senior consultant with over 20 years of experience in implementing solutions to challenging customer requirements and resolving complex problems for the financial services industries. He has excellent knowledge in designing distributed transactional applications based on industry standards such as Java EE, Web Services, messaging, Spring and JPA. In addition to these expert technical skills Marcus also has extensive experience in working in teams using Agile, Scrum and RUP software development methodologies. As a project manager, Marcus has lead small to medium sized technical teams while also focusing on delivering projects to the customer on time and with excellent quality. Marcus is also respected by his peers for his team friendly manner and customer focus. Thomas Hüsler is a senior technical architect with over a dozen years of experience in the design and implementation of distributed Java / Java EE based systems. He is an expert in the design and implementation of large scale, distributed and mission-critical systems. Over the last years he mainly worked in large legacy renewal projects in the financial industry. Thomas designed and implemented the batch processing platform of a major Swiss finance institute and implemented numerous mission- critical batch jobs requiring a high degree of failure resiliency and monitoring capabilities.